When I woke up and saw the miserable weather conditions for day 1 of London Fashion Week on Friday - the last thing I wanted to do was put on a pair of killer heels. Bad weather brings out the comfort dresser in me, so my Nike Air Vortex trainers proved to be a lifesaver. I teamed them with my leather skirt that I picked up from a charity shop in the summer and my new Topshop neoprene sweater - neoprene being an ideal fabric for aquatic weather conditions! 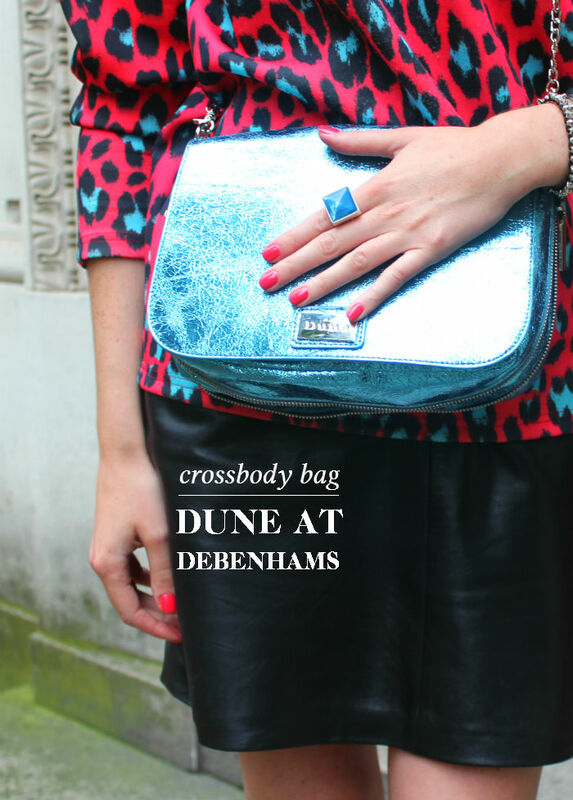 My fab chain strap bag is courtesy of Dune at Debenhams. 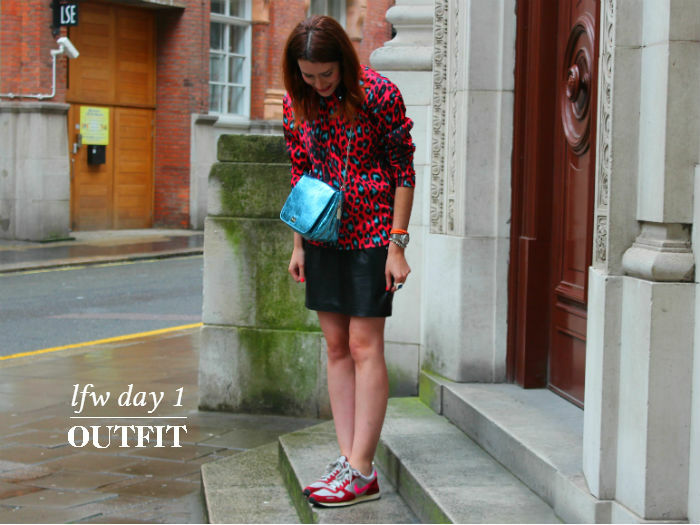 Debenhams sent me the bag to review and it proved to be the perfect choice for Fashion Week. It has lots of compartments inside which were perfect for storing my business card, phone, etc and expandable zip detail that enabled me to fit bulkier essentials inside - like my umbrella. Plus the metallic finish is luscious and picked up lots of compliments!